"No one was going to force me to kill another human being and live with that nightmare for the rest of my life," states the author of A Different Kind of Sentinel, Sir E.J. Drury II in an interview with James Lowe. Having watched my real father succumb to madness, and later my stepfather, to alcoholism, as a result of their nightmarish experiences in the South Pacific during World War II, there was no way that I was ever going to let that happen to me. "Whatever you do," was I forewarned shortly after arriving onboard the Davidson, "don’t let them (meaning the Navy) rob you of the most precious gift you have, your humanity, for the wraiths will claw away at it until all that remains is the shadow of what was once you." "I'm tellin' ya, Dury, the Navy messes with your mind in some strange kind of way; it turns you into a f***in' animal," warned another shipmate. For it is the beastly side of human nature that they train to kill without fear of punishment, and the human side which knows full well, Thou shall not kill, that they take from you, leaving only the shadow to fend for itself. To kill or not to kill, that was the bloody question that kept popping up in my head everytime I asked my self why the hell I wanted out of the Navy so badly. It took me a year to find the answer to that question. 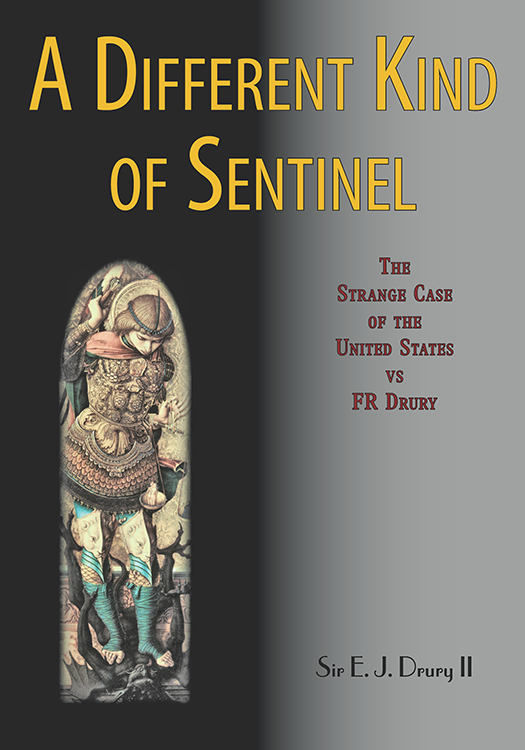 Hopefully, it won't take you, the reader, that long to get to the bottom of The Strange Case of the United States vs FR Drury. Sir E. J. writes books that explore the collaboration of the conscious and the unconscious using Active Imagination and the Transcendent Function—the process at the heart of Carl Jung’s theory of psychological growth—and poetic prose, a genre that fuses poetry’s attention to language & use of imagery with prose’s narrative & objective presentation of truth.